You stumble home at the end of the night and all you want to do is wipe your face off and roll into bed. Cleansing your face feels like cleansing your soul and it’s oh-so-tempting to just reach for some wet wipes to quickly remove your makeup. But these pieces of plastic wrapped up in more plastic have literally no benefit. 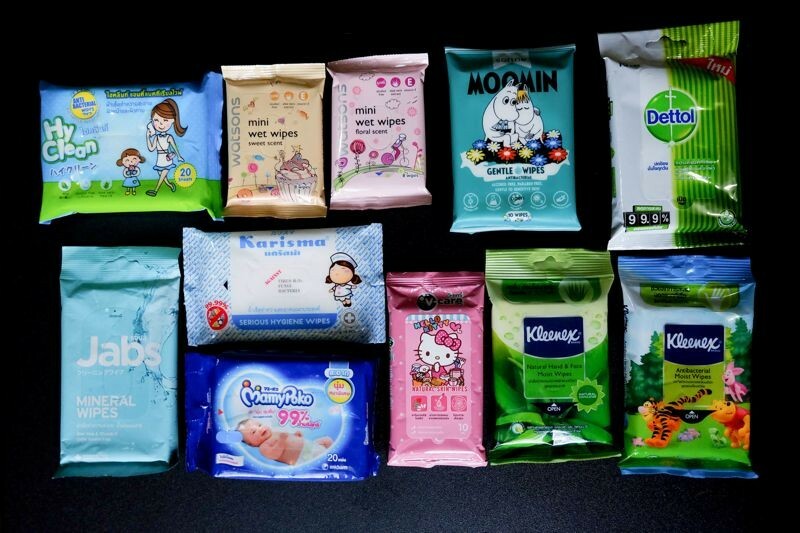 Wet wipes are made of microplastics and are really harmful for the environment, and they are definitely NOT flushable. Many people do flush them however and they end up creating disgusting, stomach-churning globs called ‘fatbergs’ which clog up sewers. If not the oceans, where the toxic chemicals harm wildlife, wet wipes end up in landfills where they cause similar damage to the environment. They’re seriously bad for your skin too. The Marine Conservation Society found 30 wet wipes per 100m of beach on average during their 2017 clean-up. Whether you’re using them to get your makeup off or wipe your baby’s bottom, these single-use plastic sheets are a big no-no for the environment. Even the newer ‘eco’ alternatives are no good. To remove her slap, Morgana uses cotton wool pads and make-up remover, which she thought was still a step-up from using wipes. But let’s say she wears makeup around 200 days of the year and she needs two pads to remove it each time. That’s at least 400 cotton wool pads getting chucked in the bin. Even though cotton might seem like a more natural alternative, it has actually been referred to as the world’s dirtiest crop due to the heavy use of insecticides in its production. 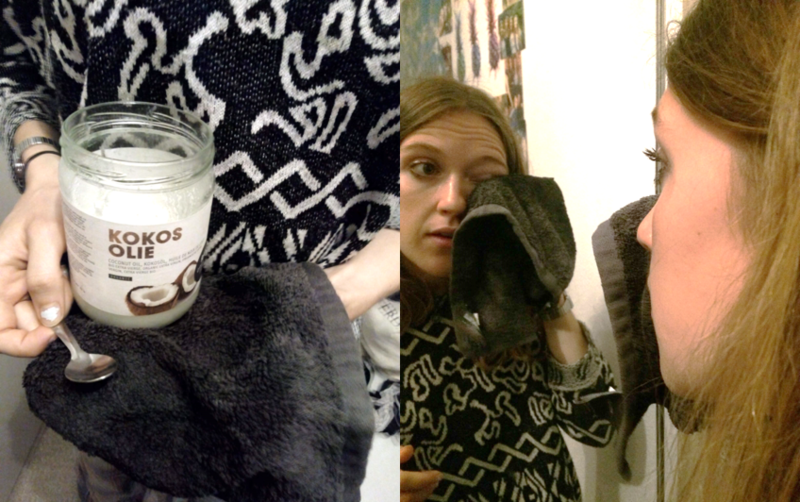 The makeup remover sold in a plastic bottle poses a bit of a waste problem too. A little research showed us that it is very easy to remove your makeup à la zero-waste. We’ll give you a hint: this miracle substance has already appeared in two of our challenges. You guessed it. Coconut oil. This glorious elixir is a life hack for household tasks, cosmetics and it’s good for cooking too. At this point, it’s well worth having a jar of the stuff in your cupboard. 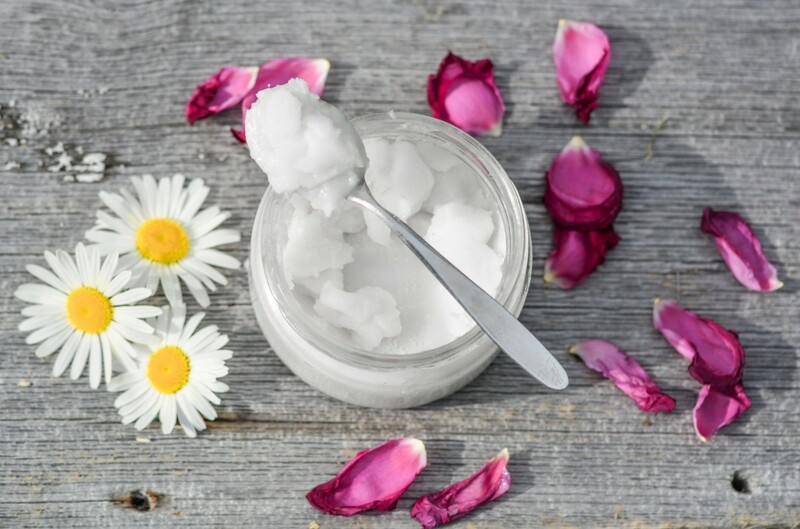 Coconut oil has also been reverently praised as a makeup remover and the pros seem obvious. Now for the instrument to this zero-waste cleanse: flannel. Not just a lumberjack uniform, flannels (the mini-towels) are perfect reusable makeup-removing tools and you only need one. Just wash it regularly and bish bash bosh. You’re saving a lot of waste. Of course, you can make your own reusable pads, which is also a great idea, but Jas and Morgana thought we’d keep it simple for this challenge. Ah, the wonders of coconut oil strike again. Morgana was wearing waterproof mascara, concealer and powder and it all came off very easily. It wasn’t irritant at all either. Just slid right off. You do need to remember to rinse it off afterwards, though. The best method is probably to massage it in with your fingers then gently rub it off with a moist flannel. There have been some reports about coconut oil clogging up your pores but that remains to be seen. We haven’t had a breakout yet but we will keep you posted. All in all, a success. Read what Jas and Morgana were up to in the past 24 days.